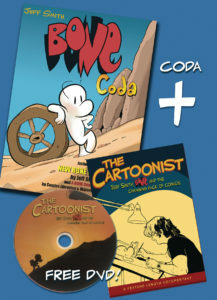 For a limited time only, Bone Coda, the companion volume to Jeff Smith’s Bone will be bundled with the Emmy Award-winning documentary The Cartoonist: Jeff Smith, Bone, and The Changing Face of Comics! 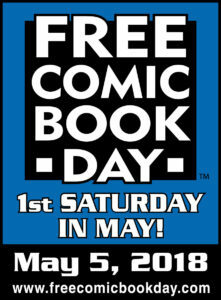 Through interviews with Smith, Scott McCloud, Colleen Doran, Paul Pope, Terry Moore, Harvey Pekar and others, this bonus DVD takes an inside look at the story, art and commerce of Bone from the earliest days of self-publishing to the world wide phenomenon of the Scholastic color books and the creation of the Young Adult graphic novel movement. Coda, which includes behind the scenes essays and photos, as well as the revised edit of comics librarian and historian Stephen Weiner’s Bone Companion, also includes the 37 page new Bone chapter! Beyond the peaks and valleys of the Himalaya Mountains lies a magical sanctuary. Protected from the chaos of man, it is home to immortal beings and mystical creatures. When Vijaya, a young human, is brought into the sanctuary for her protection, some immortals fear her presence may lead to their ruin. But as mankind draws ever closer to the sanctuary’s border, Vijaya will have to prove that there is more to being human than the violence her new family fears beyond their borders. 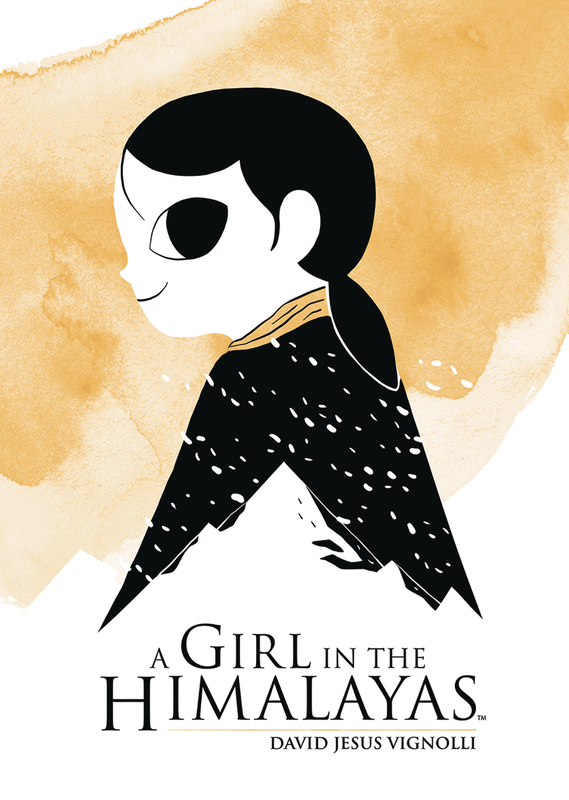 David Jesus Vignolli’s debut graphic novel A Girl in the Himalayas explores the astonishing potential of the human spirit. 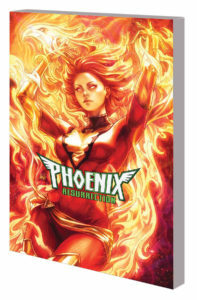 FINALLY IN SOFTCOVER!!! 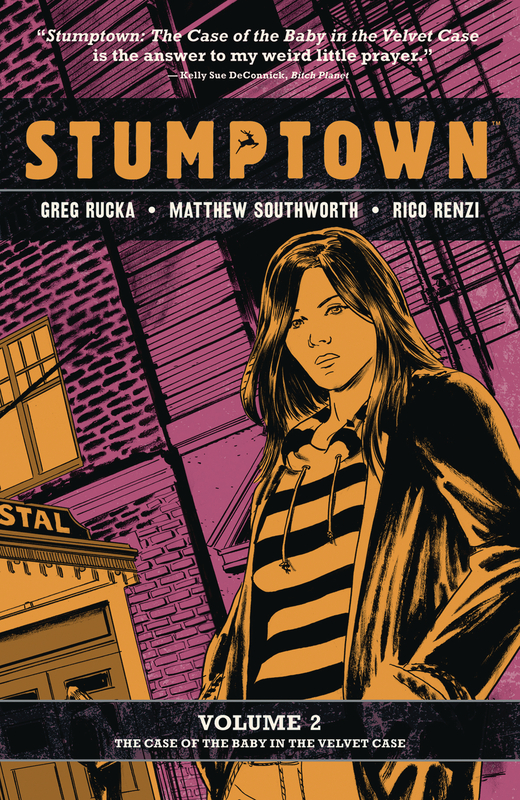 Dex Parios, the proprietor of Stumptown Investigations, has a new office and a long list of clients she can’t take on because of their involvement with crime lord Hector Marenco. So when Mim Bracca walks into her life with an open-and-shut case of a missing guitar, Dex is eager to get started, especially when the rock star pays her up front. 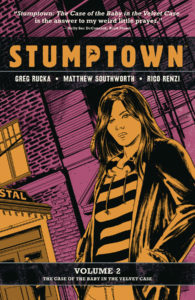 But Dex soon discovers that it’s not just the guitar that’s gone missing… and she’s not the only one looking for it. It’s been a decade since the Civil Defense Corps was exposed as a fraud created by the U.S. Government for propaganda purposes. While most of the heroes who survived the catastrophe have retired or disappeared, the New American still carries on, trying to keep communities safe amid the social turmoil of the 1970s. Some of the American’s former colleagues are on opposite sides of the law: Amber Waves joined a group of domestic terrorists, while Missy, a.k.a. Ole Miss, has thrown her hat into the political ring. As the ground shifts beneath his feet and new threats arise, which side will the American choose? 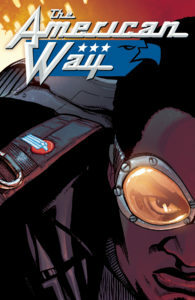 Collects THE AMERICAN WAY #1-6. 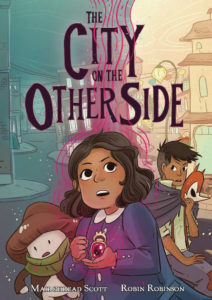 When a wealthy and sheltered young girl stumbles into a pitched war between two fairy kingdoms, the fate of San Francisco itself hangs in the balance! The first decade of the twentieth century is coming to a close, and San Francisco is still recovering from the great earthquake of 1906. Isabel watched the destruction safely from her window, sheltered within her high-society world. 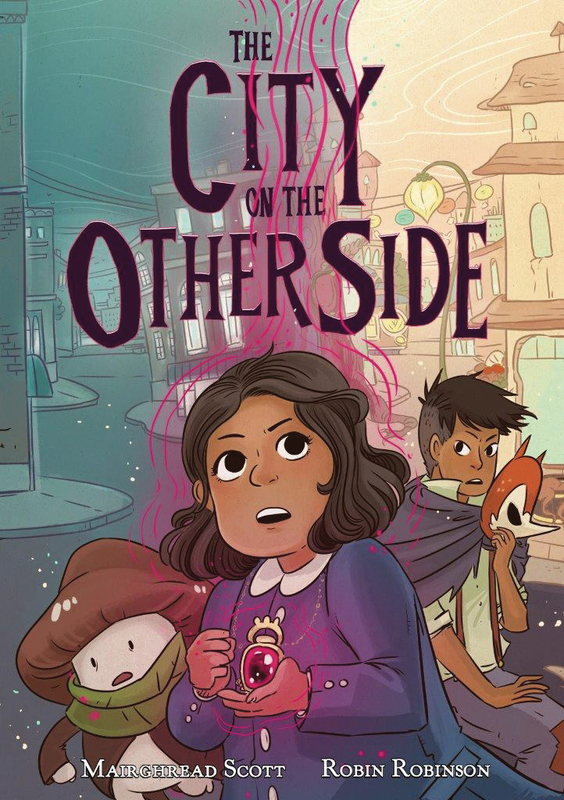 Isabel isn’t the kind of girl who goes on adventures. But that all changes when she stumbles through the invisible barrier that separates the human world from the fairy world. She quickly finds herself caught up in an age-old war and fighting on the side of the Seelie, the good fairies. 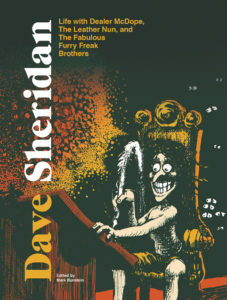 Dave Sheridan collects the best of the legendary underground cartoonist’s tripped-out comic strip hilarity. 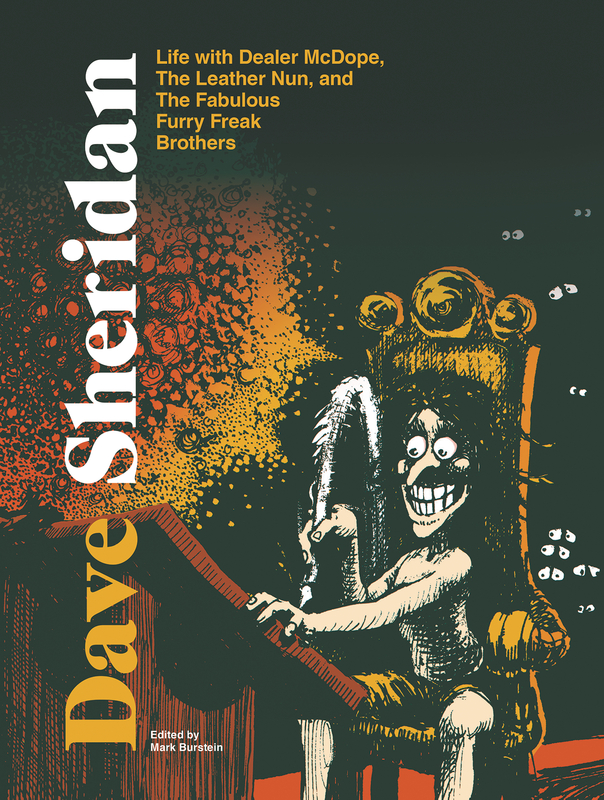 It includes Sheridan’s solo comics, many reprinted for the very first time, and his collaborations with Fred Schrier and Gilbert Shelton (who writes the foreword), along with his record covers, beer labels, and advertisements for more…cough, cough…organic products. 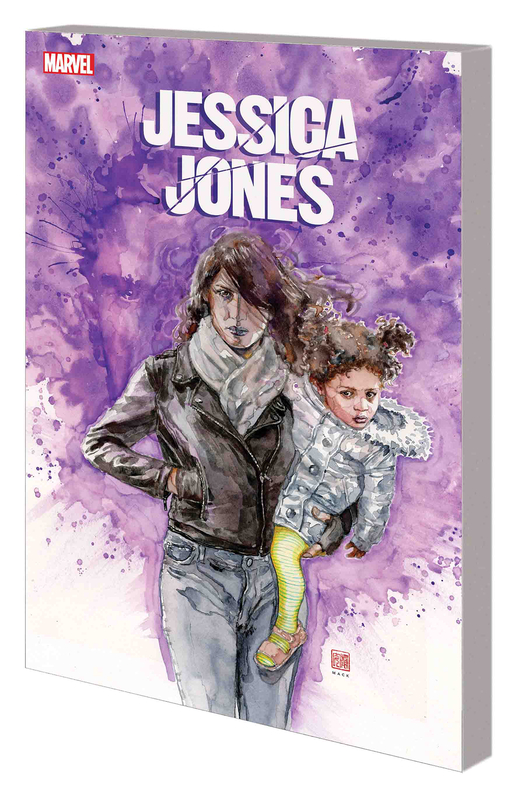 The book includes a biography and reminiscences from fellow artists, friends, and family members. 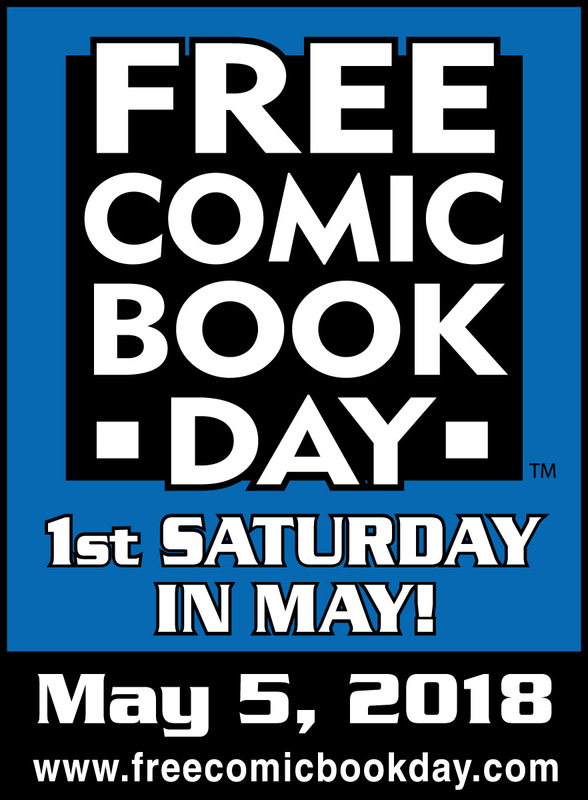 Arriving exclusively in comics shops, this collection offers the perfect jumping-on point for readers wanting to experience the hit BOOM! series. Novelist C.S. 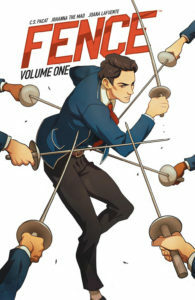 Pacat (Captive Prince) and fan-favorite artist Johanna the Mad team up for a new series perfect for fans of Check, Please! and Yuri!!! on Ice. Sixteen-year-old Nicholas Cox is an outsider to the competitive fencing world. Filled with raw talent but lacking proper training, he signs up for a competition that puts him head-to-head with fencing prodigy Seiji Katayama … and on the road to the elite all-boys school Kings Row. A chance at a real team and a place to belong awaits him – if he can make the cut! Squirrels don’t eat tacos! Or do they? Read along as Taco the squirrel writes his own story. 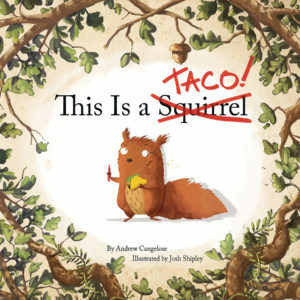 Taco the squirrel won’t let some book tell him who he is! This hilarious send-up of a children’s nature primier teaches kids that the most important story is the one you write yourself.